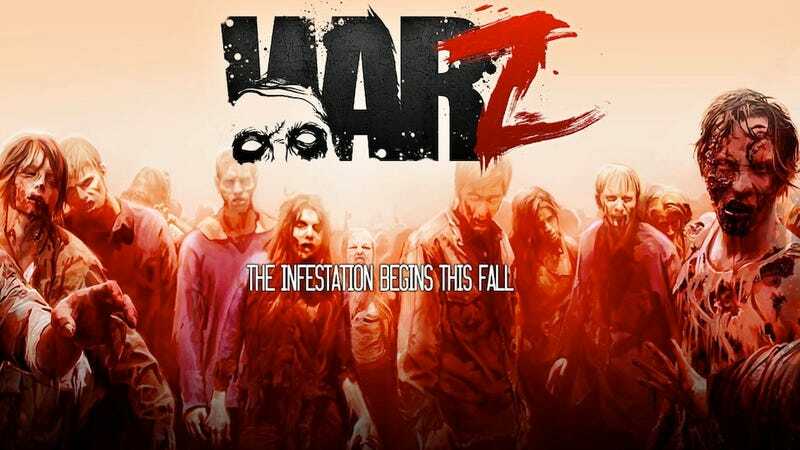 As promised, the strange saga of War Z just keeps getting stranger. Turns out this promo screen for zombie survival game, which was pulled from Steam earlier today, was plagiarized from The Walking Dead. It looks like the top few photos are from fan zombie gatherings (assuming they're not from actual zombie invasions). We couldn't track down the bottom-left photo—I think it's from Shaun of the Dead?—but the bottom-middle one is straight out of The Walking Dead. The bottom-right photo, which was mirrored for the leftmost female zombie in the War Z image, is also from The Walking Dead. Will this story ever end? Stay tuned.